"Interior of Arcads, Providence, R. I." by Metropolitan News Co., Boston, Mass. Interior of Arcads, Providence, R. I. 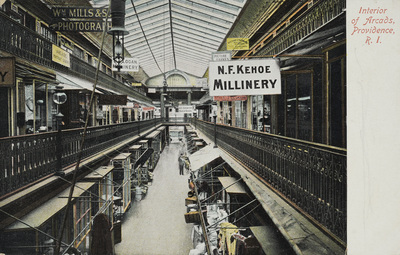 Metropolitan News Co., Boston, Mass., "Interior of Arcads, Providence, R. I." (1907). Rhode Island Postcards. 350.